CHEAP & CHIC is not just somewhere to sleep. It is an experience which forms part of your trip to Menorca, a hotel you’ll want to keep secret while sharing it with your friends. It is always satisfying when you confirm that the destination and hotel chosen live up to your expectations. 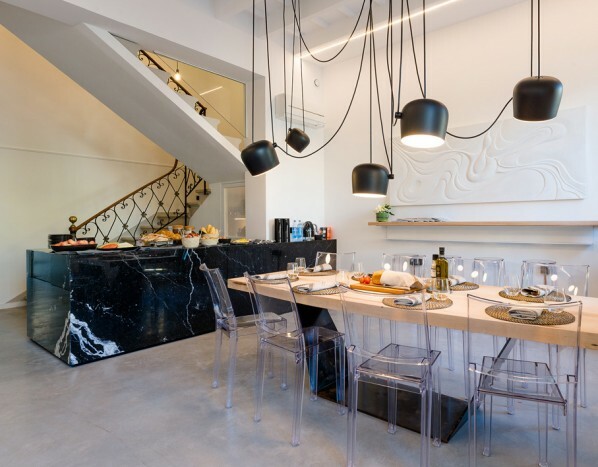 CHEAP & CHIC is authentic accommodation, an old three-storey house in the heart of Ciutadella which opened in 2013 after a complete renovation that converted it into a guest house without losing the essence of the island’s traditional architecture. At CHEAP & CHIC, we offer the highest level of well-being and comfort at a reasonable and competitive price. We don’t have a traditional 24-hour reception but staff are on hand for anything you may need during your stay with us, so all you need to think about is relaxing, putting your daily life to one side and enjoying some precious free time. On the ground floor, a coffee machine, fruit and sweet treats are available for guests. 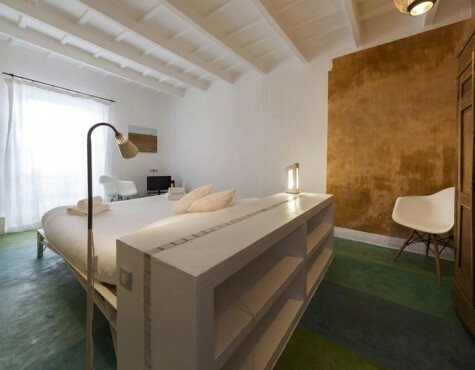 Each of the seven rooms at CHEAP & CHIC bear the name of a natural element in homage to an island distinguished by UNESCO with the title Biosphere Reserve due to the harmony between man and the territory inhabited. Every corner of the hotel is an exhibition space, a gallery with works by the island’s most outstanding artists, who we have selected with the intention of sharing our artistic interests and because, in the end, art is still a form of escape for the artist and anyone who sees it, something which touches the soul and makes everything around us more accessible and familiar.